The holy month of Ramadhan is an auspicious time to be grateful to Allah for giving us another opportunity to observe fasting and gain the benefits from this spiritual exercise. In His divine wisdom, Allah, who is the Lord of both our bodies and spirits, prescribed a spiritual exercise specifically for our benefit so that through this practice of fasting, we can gradually deny gratifications that are even lawful, such as eating and drinking from dawn to sundown, so our spirits will be strong to firmly deny all sinful and unlawful acts. Ramadhan fasting is established by our Beloved Allah for our own good. 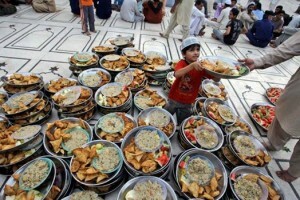 He establishes fasting not out of caprice or of unreasonable whim. The Holy Qur’an clearly declares the very purpose of fasting during this holy month: “Oh thou who believest, fasting is prescribed for thee, as it was prescribed for those before thee, so that thou may guard (thy minds and hearts) from the evil (coming from thy ‘self’)” (Surah Baqarah 2:183). From this holy verse, we can see that training our hearts, minds and souls to detest evil is the very purpose why our Beloved Allah prescribes fasting for us. Abstaining from drinking and eating and other carnal needs are simply training activities for us in our daily struggle against the evil of our self-gratification and our wanton appetites for sin and worldliness. Hazrat Prophet Muhammad (may the peace of Allah be upon him and his Companions) has clearly made this very important point that it is not hunger and thirst and our self-denial of food and drink that reaches Allah but what Allah is interested in, is the result of fasting within the devotee’s heart—i.e., the believer’s firmness in denying his evil-commanding self (“nafs ammarah”). 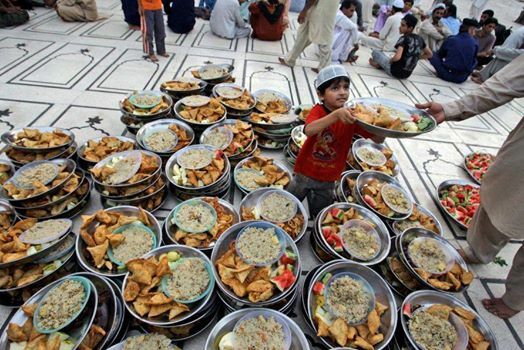 Sufi saints of Sunni Islam always insist on this; that while doing fasting, it becomes mandatory for us to remember that the fast is not confined to our gustatory acts only. It is training in observance of abstinence of all parts of our body and senses that is prone to sin as the mark of our obedience to Allah so that He may be pleased with us. The reason why humans are being considered superior to all other creatures of Allah is the human capacity to control his bodily demands for a higher or lofty purpose. Sufi saints stress that the aim of life and all our acts of servitude to Allah is not just to avoid hell and earn paradise, for that would be very self-serving and very petty indeed! For the Sufis, the very intention of all our worships is to gain the love of Allah, in the words of Hazreti Mevlana Jalaluddin Rumi (may Allah illumine his grave), to merit being called Allah’s “wali” (friend) or His “ashiq” (lover). The Sufi saints of Sunni Islam reminds us not to be too legalistic to just confine ourselves only to the external form and rules on fasting, but to transcend the external aspects of fasting by reflecting upon the very spirit and inward reality (haqiqat) of fasting: i.e., our Beloved Allah enjoined fasting for us so we can tame our self. For this post, I will just quote one example to exemplify this point. Externally, we deny the hold of the tongue’s appetite upon us when we fast—that is the external legal demand of fasting. But let us consider the tongue and how we can still utilize the tongue in sinning, so that even though we are not eating or drinking during holy Ramadhan, we still commit various hurtful offenses against Almighty Allah and against our fellow humans. The tongue can be used wrongly for lying, slander, abuse, hurling insults, and worst of all backbiting and gossiping. The inner reality of fasting is therefore to deny the tongue its power to commit offenses against Allah and to avoid hurting our fellow humans. The tongue’s desired use would be for truth, for spreading the good news of love and harmony, for teaching respect for one-and-all, using our tongues to share words of kindness to everyone, and for spreading peace in the world. Frankly speaking, simply fasting on drinks and food but engaging our tongues in sinful and unkind words and deeds betray the very purpose of fasting as set-forth by our Beloved Allah, which is to train our spirit to fight evil coming from our “evil-commanding self” (nafs ammarah). May this holy Ramadhan fast become a spiritual mirror of our true standing as Allah’s slaves. May our struggles, failures and victories over our egos and our senses during this month will show us the true reflection of our real self when compared to the ‘mirror’ of Allah’s beautiful divine character—as to how far we are yet in becoming Allah’s friends (waliullah) and lovers. Keeping these points in view there is yet tremendous scope for correction and betterment of one’s self during this holy month. But we must remind ourselves that the effort we have expended in taming of our unruly self, along with our self-denial during fasting should not just only be for one month, but for the rest of our earthly lives. At the end of Ramadan, we should make an all-out effort to continue the spiritual gains we have attained in this blessed month for the rest of the year, by the grace and mercy of All-Forgiving Allah alone. I pray that our Beloved Allah grants us the opportunity to observe holy Ramadan in its true spirit, as outlined by our great Sunni and Sufi preceptors. As we continually perform this holy training of controlling our unbridled senses and our untamed egos during this holy month, let us offer whatever merits we have for a peaceful world, for harmony and world unity and Allah’s blessings for one-and-all—Muslims and non-Muslims alike. May Allah help us all (including the readers of this my post tonight) who are presently going through trials in our lives whatever these may be. For the sake of this most holy of all months, may we have the grace to bear our trials with courage and resignation to the holy will of our Almighty Allah. Ameen, thumma Ameen (Amen, and again Amen)!